The SIMEX300 is specially suitable for treatment of immobilised patients with acute or chronic wounds. Particularly with patient with high amount of exsudate. 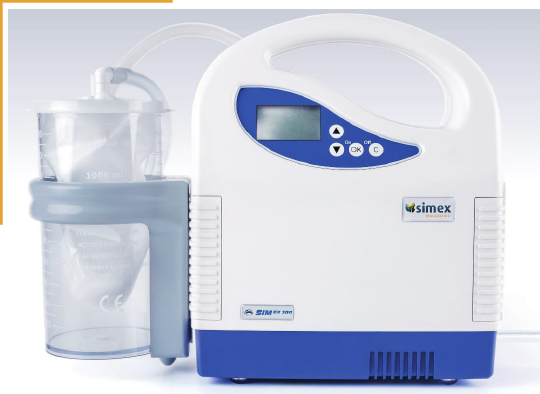 Especially in patients with high amount of exsudate the SIMEX300 finds it use. High capacity of the secretion container allows collection of large amounts of exsudate.